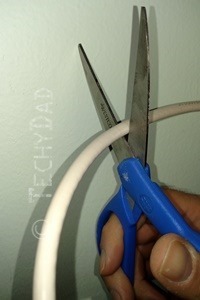 Cord cutting is on the rise, but is it inevitable? As much as I’d love to shout out "Yes it is! The big cable companies are going down!!! ", I don’t think it is. In fact, I envision three different scenarios playing out in the future. The pessimist in me sees the cable companies already implementing data caps/overages and trying to strike down Network Neutrality. These efforts are aimed at using their Internet monopolies (in many areas, they are the only source for wired, high speed broadband) to keep Internet video companies at bay. If they can set a limit that essentially says "you only get 1 hour of Netflix/Hulu a day or else you pay a ton more" then they can convince people that their cable TV services (which conveniently aren’t subject to caps) is less expensive. The pessimistic future sees caps/overages becoming the norm and the government turning a blind eye thanks to massive cable company political donations. Some people might cut off entirely from video services or rely on purchased/rented/borrowed discs, but most would go to the "cheapest" option which would be cable TV thanks to the cable companies stacking the scales. In this scenario, the cord cutting phenomenon would essentially die as the cable companies and content providers tighten their grip on the market and our wallets. The optimist in me recognizes the problem of ISP monopolies and content owners holding back and sees them as temporary speed bumps, not show stoppers. In the optimistic scenario, the government does what they’re supposed to do – ensure that companies with monopolies (e.g. the ISPs) don’t use their monopolies (e.g. Internet access) to push other, non-monopoly services (e.g. TV) over their competitors (e.g. satellite TV or Internet video). Data caps would be banned and overage fees would be a thing of the past. Without being able to rely on their monopoly to prop up cable TV, more and more people would flee to Internet video. This would cause the content providers to realize that they NEED to have their content on Internet video sites or they won’t survive. Some content providers will opt to make their own streaming services (see: CBS All Access) and some will form exclusive deals with other streaming companies. As the market forms, content providers will see that it is in their best interests to have their content on as many services as possible. Not only does this give them a wider reach, but it prevents any one streaming service from getting powerful enough to dictate terms to the streaming service. The more that legal content is available via streaming services, the less that cable TV attracts people to it. The less it attracts people to it, the less necessary it appears. The less necessary it appears, the less people subscribe. It becomes a vicious cycle until cable TV winds up as a story that grandparents tell to their grandchildren. The previous two scenarios told the tale of one side or the other winning, but to be perfectly honest, I don’t think it’s going to be that neat and clean. Instead, we’re likely to get a combination of the two. The TV and content providers will fight to maintain the status quo – using the power that they’ve amassed over the years to slow the tide of cord cutting. They will attempt to frame it as a fringe group and not a growing movement. They will be successful in the short term. Over the long term, though, cable TV might just survive with Internet Video offerings alongside as part of the new status quo. They will be competing services the way cable TV and satellite TV coexist while competing against each other. Cable TV would be just one of many different possible video offerings that people might sign up for. In the end, the cable companies might be able to delay the spread of cable cutting, but I don’t think the Pessimist scenario is likely in the long term. It would be very hard for cable companies to stop cord cutting completely. There is a massive change coming down the pike. The younger generations don’t see cable TV as a requirement or even something to be desired and they are quickly approaching the age when previous generations would normally sign up for cable TV. These "cord nevers" consume online media and other forms of entertainment and don’t rely on scheduled videos with ads. The cable companies’ only hope for survival is to adapt to the upcoming new reality. Unfortunately for them, it is extremely hard for a company to simultaneously protect an entrenched interest while launching a product that disrupts said interest. This is why past cable company efforts have failed. However, as cable TV declines, the companies will find themselves in an innovate or die situation. This might be enough to push them to actually create useful services to secure their futures.